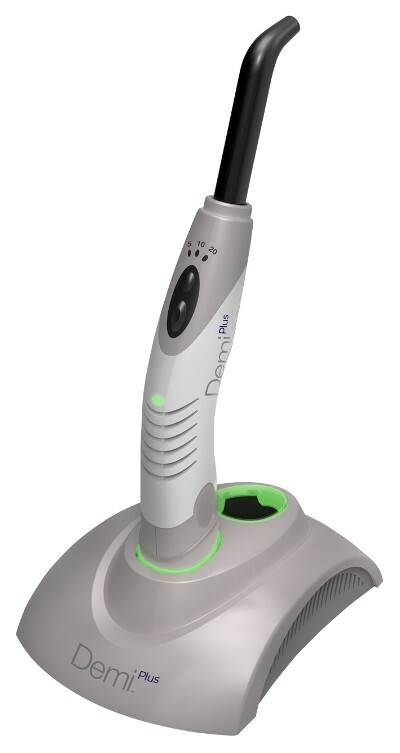 Demi Plus, powered by Demetron Technology, is the next generation in premium dental curing lights. It combines sophisticated engineering with design advancements that enhance performance and deliver consistent cures while allowing you to focus on what’s truly important—your practice. Advanced Battery Design. The positive contact charger guarantees a snug fit between the contacts on the handpiece and the charger base allowing you to get the most out of every charge. Enhanced Body Design. The exterior is made from Valox resin, a high-performance plastic that will protect and extend the life of your unit. Longer Warranty. Our three-year warranty ensures that you get the most value out of your premium investment.